Predicting the thoughts and purchases of customers in advance must be on the wish list of businesses across sectors and industries such as retail, telecom and BFSI. Nowhere is this more evident than in the e-commerce industry, where insights into the minds of customers would give every online retailer a fillip that could propel him ahead of competition. Next on the list arefixing the optimum price, zeroing in on purchase power limits and understanding consumer spending. However, this is merely the tip of the iceberg. Drilling deeper would lead to honing customer service levels to a degree where resolution of an issue comes even before a query is raised. Though this sounds utopian, it can be turned into reality by simply using predictive analytics to benefit e-commerce portals. Harnessing the power of customer analytics and smart data to improve targeted marketing on e-commerce portals will be discussed by experts from IKEA, Flipkart and PayPal at the Smart Data Summit 2015. 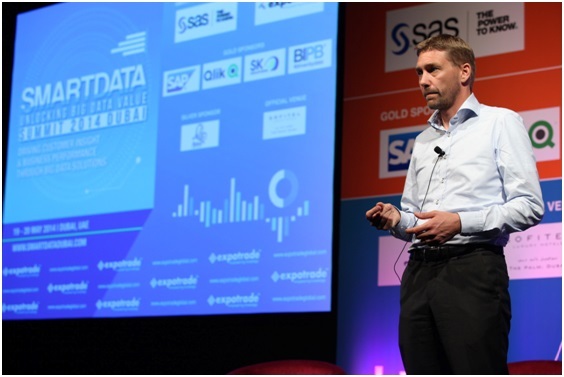 This two-day summit is produced by global conference organizers, Expotrade and will be held on May 25-26, 2015 at Sofitel The Palm Resort and Spa, Dubai, UAE. For an e-commerce retailer, customer engagement with the portal is of crucial importance. Channels of communication, such as newsletters, clicks, order forms and ratings are examples that immediately come to mind. Analytics can help understand the combinations to include in the marketing mix to generate the best outcome. In terms of promotions, which form the basis for a successful e-commerce initiative, predictive analytics can help match data from different sources to arrive at personalized promotions. Targeted emails or style surveys, for example, can reap rich rewards. For the all-important pricing plan, predictive analytics can take into account information such as historical prices, inventory, past orders and inventory to arrive at the optimum price. E-commerce businesses also need to keep tabs on inventory, so that it does not spiral out of control, leading to needless inventory carrying cost. One of the toughest decisions for an e-commerce retailer is what to stock and how much of it to stock. An intelligent sourcing model can analyze and predict the ideal inventory levels of a product. This can work for products where low sales are predicted, as well as products where high sales are predicted. Allied with this is the optimized fund allocation, leading directly to higher profits. Analytics can also help an e-commerce retailer detect and prevent fraud by studying payments and browsing behavior and employing rules to raise an alarm if a suspicious transaction is detected. Ensuring this without an analytics tools is virtually impossible. Arguably, the most obvious use of smart data and analytics is in customer service. Arriving at the most potent combination of emails, helplines, live interaction using predictive analytics is a trend that has been adopted by almost every online retailer of note. The next step is to iron out more details such as hold times, prioritization of services etc. Lastly, this must all be viewed against the backdrop of real time analysis and decision-making, which can only be achieved using data analytics to analyze customer behavior on the move. Understand the power of smart data and predictive analytics in boosting the e-commerce industry from the experts in the field at the Smart Data Summit 2015.